In our Blog Posts and Videos, we often mention constipation as it is a very common issues and it can have bad repercussion on your pelvic function impairing both your urinary and digestive system… For more details on what are the symptoms, cause constipation and how to prevent it with simple life tips, have a look at our previous post plainly named Constipation! But today, we focus on how to treat constipation! When we talk about constipation treatments, we immediately think about laxative drugs. But do you know there are many types of laxative? The goal of the laxative is to break down stools and make them softer. However, as nothing is perfect, laxative also have side effect. Most common one is gut irritation, if you use laxative every day, and bloated feeling. Let review some of these laxatives and what they are good and bad for. The first one is the emollient, (Colace) which is making stools soft, but can lead to diarrhea. It is the one to take if you have haemorrhoids! You can take it even if you are pregnant. A second type is the lubricant laxative (mineral oil for instance). 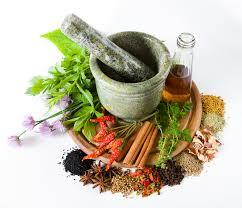 It is made of vegetal oil and as it is said in his name, it lubricates stools to help evacuation. You shouldn’t use more than a couple of times, because it can lead to lack of vitamins. Saline laxatives act very fast by eliminating the contents of the gut. Some example of saline laxatives are acid citric salt (Royvac®), magnesium hydroxide preparation (Phillips’® “lait de magnésie”), sulphate salt and sodium phosphate. 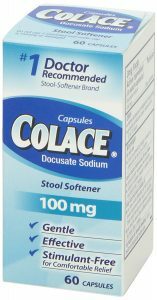 Lactulose laxative looks like saline laxative but act slower (up to 2 days). Glycerin is another osmotic laxative but are more stimulating (and irritating for the gut) because of the sodium. Stimulating laxatives like « le bicasodyl » (Ex-lax®, Dulcolax®) and castor oil are very aggressive. It accelerates the intestinal transit time. It is dangerous because it has dependency risk and lead to loss of mineral salts. Don’t take them if you are pregnant! Phytotherapy is also very useful. Some plants are efficient for constipation. Artichoke increases peristalsis (gut movement). Psyllium, agar-agar and Ispaghul are laxative and increase stool bulk. Flax seeds are also a laxative. Green clay has a remineralising and a draining effect. Blueberry is an antibacterial and Curcuma is an anti-inflammatory. Aloe Vera treats the mucous membrane and the intestine injuries. Celery aids digestion and drains. Another efficient treatment for constipation is Abdominal Massage (cf video on our YouTube channel). Mix 2 drops of essential oil of peppermint and 2 drops of essential oil of lemon balm with almond oil to make oil for the massage. Osteopathy and Visceral Manipulation can also helps by releasing adhesion and reducing abdominal tension to increase gut movement. Colonic Hydrotherapy is another interesting treatment for constipation. Very useful to clean your gut but don’t practice it too often and make a probiotic treatment after as it is destroy the intestinal flora. Let’s finish with my grandma tips: Bach flowers! Good for almost everything including constipation! But don’t forget, the best treatment against constipation is prevention! For all the goods habits to have concerning diet, how to sit on the toilet, etc. have a look at our previous post on the topic!